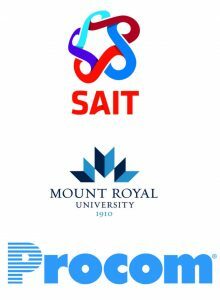 The Project Management Institute Southern Alberta Chapter (PMI-SAC) is grateful to have the support of so many local organizations. Through the support, we have a Company Ambassador Program (CAP) for those organizations with more than four members enrolled in our chapter. The Company Ambassador Program is an opportunity to be part of Project Management Institute (PMI) and PMI-SAC and act as your organization’s voice. You can bring in ideas, share experiences, and become an inherent part of the PMI-SAC on behalf of your organization. The program also allows you to help improve and streamline the flow of information between PMI-SAC and the companies in our area, and allow those organizations to help contribute to the success of the chapter. Recognition among peer project managers within your organization and in the PMI-SAC. As well, the recognition of your organization by attending chapter events. Valuable networking and collaboration experience. Complimentary attendance to five dinner meetings throughout the year. Introduce and share best practices within your organization to promote and improve project management practices. Give permission to have your name published in the PMI-SAC newsletters and website stating that you are the contact in your company for questions about PMI-SAC. Proactively establish yourself as the focal point within your organization for communications about PMI-SAC. Share concerns / suggestions / ideas on how to improve PMI-SAC to efficiently cater to its members. Participate in Company Ambassador group meetings. Actively participate with other PMI-SAC Committees to develop and implement methods to attract membership interest and involvement within your organization. Obtain an executive sponsor willing to support your efforts to promote professionalism in project management. Solicitations will not be directed to this person. However, sponsors may be invited as guests and recognized during membership meetings. Attend five (5) regular PMI-SAC membership meetings per year (ideally every other month). Build your own distribution list for potential members and send informative e-mails to encourage them to attend PMI-SAC events. Host a company brown bag lunch event with PMI-SAC board members come to your organization and delivery our road show presentation. Coordinate a mini-symposium on project management in your company to communicate the value of PMI and PMI-SAC membership. Create an intra-company newsletter or website containing success stories about the value of PMI-SAC participation. Work with your PMO, human resources department, or management team to promote PMI-SAC goodwill. Net increase in number or percentage of PMPs in your organization each year. PMI-SAC is a part of PMI’s Region 1 geomarket (which includes state and provincial chapters from Alaska to Oregon and inland as far as Alberta, Idaho and Utah.) and ranks as the 4th largest chapter in Canada and the 27th largest chapter in the world out of approximately 275 chapters. The chapter is one of the fastest growing chapters with 2100+ members. The chapter has a successful sponsorship program which affords it the opportunity to fund many different events such as a two-day professional development conference held in the fall, the six-month mentorship program, monthly dinner meetings with international recognized project management speakers, and more recently industry-specific roundtable events (e.g. EPCM). As ambassadors, these individuals streamline the flow of information between PMI-SAC and their companies while promoting project management practices in these organizations. Sometimes it is easier for people to talk with somebody they already know. Sometimes corporate e-mail filters prevent our notices from being received. Sometimes many voices speak louder than an individual voice when suggesting improvements for our chapter. Please contact Jayeeta Ray for further details.